Queen B is back. 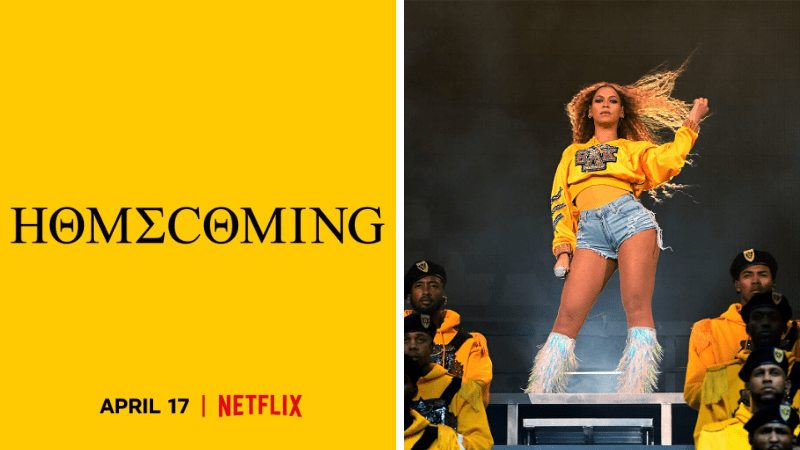 Her Netflix documentary Homecoming, based on her Coachella headlining set, is due to be released on April 17th and fans are going wild with anticipation. Beyoncé Knowles… need I say anything more? Famous for being one of the world’s most successful artists, Beyoncé is more than a household name. She’s escalated into royalty with many referring to her as Queen B. Her Coachella performance of 2018 was highly regarded as she was the first ever black woman to headline the festival. Kept in secrecy until now, Beyoncé has revealed she’s created a documentary on this experience, titled Homecoming. The film is said to feature around her performance and the cultural significance behind it. Her performance was an ode to black culture, focusing significantly on black colleges and universities. The stage was consumed by over a hundred dancers and musicians, all dressed in black and yellow. The performance was revolutionary in expressing black culture in what is typically a “white” festival. Coachella is one of the more mainstream festivals and features a heavily whiter population than other races. The Guardian described the demographic in American music festivals and how white people make up 69% of attendees. “I have a responsibility to do what is best for the world and not what is most popular”. Beyoncé’s performance was also ambitious in her hopes that more young African Americans would enrol into historically black colleges and universities programs, by donating $100 000 to scholarships, CBS News states. The film, monumental in its expression of black culture, also gives an insight in to just how a queen would prepare for such a performance. The trailer features clips of rehearsals, work outs, sweat and tears, all whilst a voice over of American poet Maya Angelou plays out. Angelou is heard saying “What I really want to do is be a representative of my race, of the human race,” something Beyoncé has always strived to achieve. Her performance was simply ground breaking. Cameos with husband Jay-Z, sister Solange and even a reunion of Destiny’s Child, had those lucky enough to be breathing the same air as her, in awe. 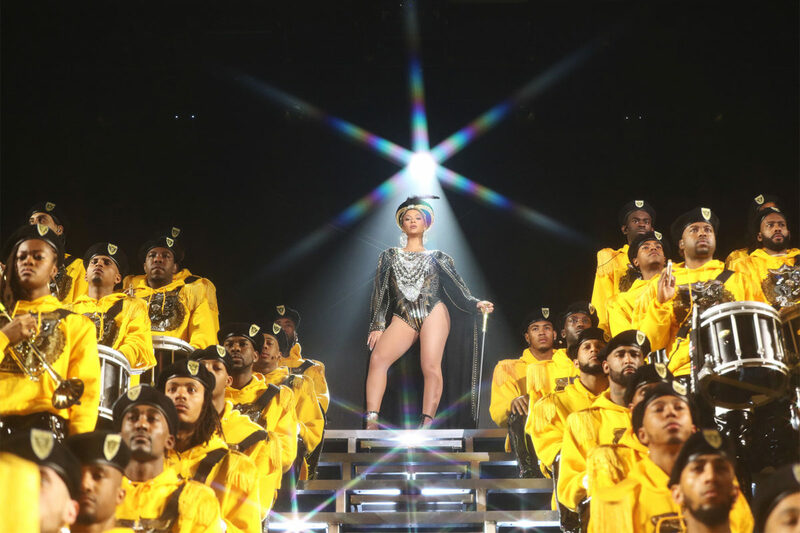 Supported by a huge marching band behind her, Beyoncé wore a yellow hoodie with Greek letters on it, references to the Divine Nine which comprises of the five African American fraternities and four sororities. The performance also featured the artist singing Lift Every Voice and Sing, a song symbolised as the black national anthem. Beyoncé’s performance was rich in history, expression and, of course, entertainment. Frequent with costume changes, the hour and 45-minute event allowed Beyoncé to encompass the royalty we all bestow on her. Her most empowering costume was her encompassing of Egyptian Queen, Nefertiti. Dressed in a metallic cape with black and gold sequins, paired with a head piece fit for a queen, Coachella attendees were truly in the presence of royalty. Her highly anticipated documentary, Homecoming, has already received as much praise as her actual Coachella performance. The trailer includes quotes from publications such as Rolling Stone describing the film as “Her triumphant return” and The Guardian stating how the film “Writes herself into history”. Homecoming is not only an expression of black culture but is an expression of one powerful woman. Given the title of a queen, Beyoncé is fierce in her delivery and symbolic in her performances. Notorious for being seen as the greatest performer of our generation, Beyoncé, we bow down to you. Check out the trailer for Homecoming below and let us know what you think in the comments!